My string quartet, AMBROSIA, just got back from CLASSICAL NATIVE, an exciting program in Washington, D.C., and I want to tell you all about it. Our experience began six months ago when I bumped into composer Jerod Impichchaachaaha' Tate at Philadelphia’s Settlement Music School, where my string quartet rehearses every Thursday. Jerod, who lives in Colorado, was in town for a performance of his piece Shakamaxon for String Orchestra, commissioned by the Philadelphia Classical Symphony. By coincidence, the orchestra had rented out one of the halls at Settlement for rehearsal that afternoon. Jerod recognized me from a couple of years ago when our quartet performed a work by his student Rochelle Chester on From The Top’s PBS TV series. He introduced himself, and then said “I have a project in mind for you." Jerod’s project was a performance of works for string quartets by several of his composition students, seven teenage Native American composers in the CLASSICAL NATIVE festival, hosted by the Smithsonian Institute’s National Museum of the American Indian (NMAI) in Washington, D.C. My quartet, Ambrosia, would perform on November 8 at the National Museum of the American Indian, and also on the Kennedy Center’s popular Millennium Stage. We were thrilled, of course! This was a serious engagement: we received contracts from both the Smithsonian and the Kennedy Center. 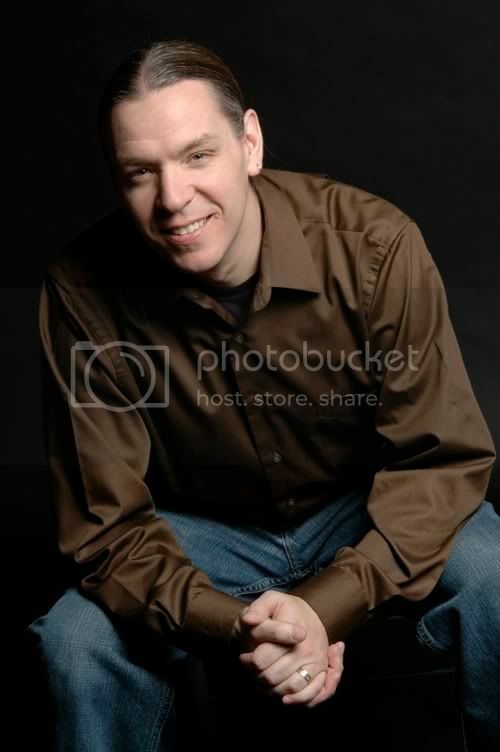 Jerod, who is a highly active composer, is a graduate in piano performance of Northwestern University and holds an MM in piano performance and composition from the Cleveland Institute of Music. A citizen of the Chickasaw Nation, he has long been dedicated to teaching composition to Native American high school students, and has been working with kids in Arizona, Oklahoma, and Minnesota for the past four years. 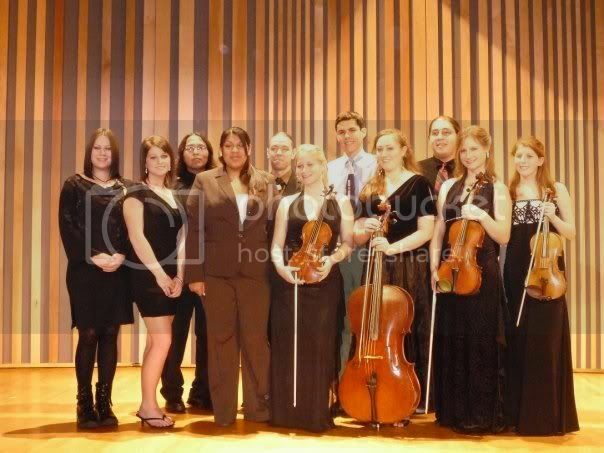 The seven young composers whose works we would play were members of the Navajo, Hopi, Chickasaw, and Ojibwe tribes. Over the summer we received music for the seven compositions, and when we returned to Settlement in September, we rolled up our sleeves and got to business rehearsing these challenging new works whose styles ranged from romantic (Wyas Parker’s “Past the Sun”) to heavy metal (Ryan Hoosava’s “Purify”). Our coach at Settlement, Jean Louise Shook, also immersed herself in the project, and spent hours on the phone with Jerod, to make sure we knew all the emotional back-story behind the compositions so we could get the details right. Chamber music is one of the loves of my life, and I never pass up an opportunity to perform as part of an ensemble, so this project was a natural for me. But the CLASSICAL NATIVE experience was unique in two ways. First of all, so much of this music was stylistically new to us, so preparing for the performances was a journey technically, intellectually, and emotionally. Many of the young composers whose works we played drew their inspiration from heavy metal and rock music, and others drew from more standard Western influences. In all cases, these seven pieces brought us new vistas to explore; for us, the journey was full of new ideas and realizations. The other exciting factor was that my high-school aged quartet got a rare opportunity to work directly with composers our own age. This is something I've done a few times before, in my work with new music, but never this in-depth and never with so many young composers. When the day arrived and all of us met at the NMAI with Jerod and the composers, we were able to explore the nuances of the music, in order to bring out the emotions and themes of the seven compositions. Our three-hour evening dress rehearsal at the museum on Friday night was attended and videotaped by members of the Arts and Humanities Division of the Chickasaw Nation, who are making a documentary about the project. After the rehearsal, we ten kids (one of the composers was unable to make it to the festival) were able to hang out and get to know one another, which of course is one of the best parts of an event like this! It sounds cliché to say something predictable about how, by getting to know one another, we were able to destroy topple stereotypes. 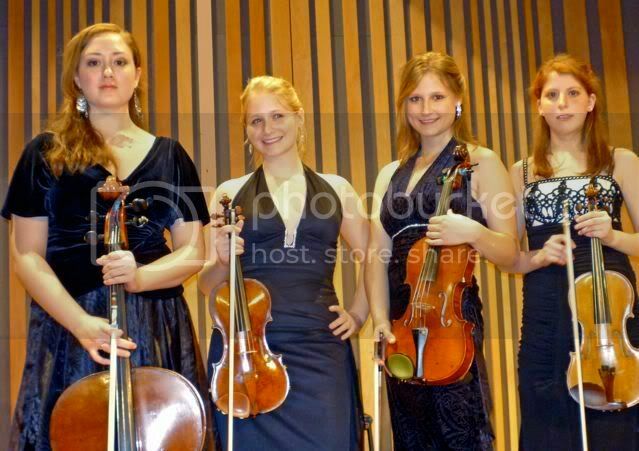 But it’s true, and I think we were successful in proving to them that we are not stuffy classical string players. We are as boisterous and crazy as any teenagers they know! And hanging out with them revealed more to us about the Native American culture. Over dinner, they asked each other things like "What clan are you?" "I'm from the bear clan", and we peppered them with questions about clans and tribes and traditions. Next morning, the group met for an informal discussion at the NMAI’s Mitsitam Native Foods Café, taped by the Chickasaw Nation videographers for their documentary. Our first concert took place at 1 PM in the NMAI’s Rasmuson Theater. The performance was attended by general museum goers, as well as fans and supporters of the CLASSICAL NATIVE program. For the first half, a very talented and accomplished young classical guitarist, Emmanuel Gray, performed works by Bach, Albinez, Tárrega, and others. Then came the Ambrosia performance, by the seven composers, including Emmanuel, whose work “Moonlight Springs” evokes the desert landscape where he lives and the voices of his friends. Each composer came to the podium to introduce his or her piece. Paris Fairbanks explained about Coyote the Trickster for her piece “Coyote March on a Full Moon.” Courtney Parchcorn spoke of how her piece “Emo Childhood” evokes the joyous, angry, and frightened emotions of a difficult childhood on an Oklahoma reservation. Joel Waukazo told us about the quest narrative behind “The Song of the Ride”, which describes the journey of a failed hero. Katelyn Duty explained that her piece “The Memories Start Now” arose from her desire to crystallize memories of time with her father, diagnosed with terminal cancer just before the piece was composed. Katelyn’s father died five months ago, not long after her piece was selected for inclusion in this program. Knowing these details about the pieces gave the audience a context for appreciating them. After the concert, we had time to relax and hang out—and then we were off to our sound check at the Kennedy Center’s popular Millennium Theater, which offers free concerts to the public at 6PM every day of the year. The Millennium Theater, we soon learned, is very popular (it’s following was described as “a cult”) and audience pack in tightly for the performances. Our Saturday evening performance was for an standing room only crowd, including many Washingtonians and even a delegation of Chickasaw WWII veterans in town for the CLASSICAL NATIVE celebration and Veteran’s Day. For them, we began our concert with a rendition of the Star-Spangled banner. Hanging out outside the NMAI with composer Paris Fairbanks and composer/guitarist Emmanuel Gray. What a fantastic feeling, to play a new music concert to a completely engaged, enthusiastic, packed audience! The Kennedy Center did a simultaneous broadcast of our performance over the internet, which is now available through their archives. We will also soon have videos of both performances that we can make available to you over my or Jerod’s YouTube pages. Now we’re home and reliving the excitement through photographs, recordings, and blogs. My quartet and I feel extremely privileged to have been included in this project, and we hope that we can continue to work this Jerod and his composers in the future. Laurie posted a comment to my recent blog where I announced the concert, asking whether these works would be available to other quartets for performances. Currently, Jerod is working on a way to help publish and disseminate these works. Anyone interested should contact him. You can hear our concert in streaming video at the Kennedy Center website; very soon we will upload performances of the individual compositions to YouTube. I wish I had other commited music students in my area that I could form a quartet with, but sadly I've yet to find any... No one in my orchestra is dedicated enough to pick up work with a quartet. Very interesting story. Thanks for sharing!! I'm not sure what was wrong before, but I fixed the link and it should work now!